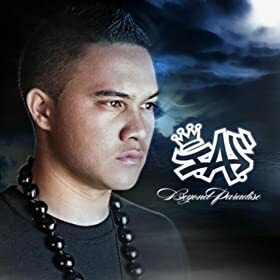 Hawaii based rappers I.A. x Mic3 of the Angry Locals bring you their music video for “The Jumpoff” from I.A.’s Beyond Paradise album. They have fun all over the 808 from toy stores to bouncy rooms to sporting goods stores. They duo always goes hard and never goes soft. Lots of jumping around going on the island. You can get the single on or amazon. Listen to more I.A. with Loco Moco and Too Hot (lookin fly). Mic3 and the Angry Locals can be found on Fund Raiser, DooDoo Girl, We Stay and Collapse Slow. This entry was posted in music on January 8, 2012 by Kevin Hsieh - channel APA.